Classic Victorian on a tree-lined street, restored and remodeled to the highest quality with characteristic high ceilings, tall doorways, beautiful crown molding and custom lighting throughout. 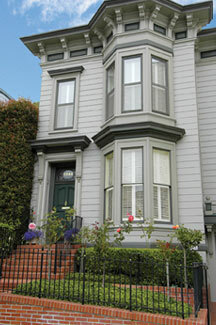 Its location near Alta Plaza Park and Fillmore Street shopping & dining provides a setting for the best of City living. 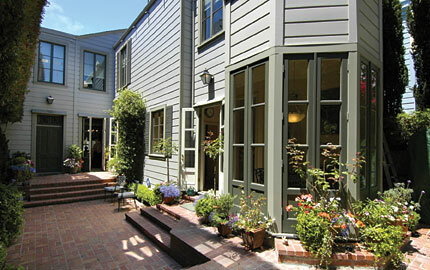 The focal point of the house is the sunny and private landscaped TERRACE GARDEN. French doors from several main floor rooms open to the bricked patio with fountain and trellis work surrounded by sculptured Eugenia trees, boxwood hedges, colorful perennials and seasonal blooms. This outdoor ‘room’ designed by Randall Whitehead is perfect for alfresco dining and entertaining all the day long; soft lighting, piped music and tall gas heaters set the mood for relaxed evening entertaining as well. The garden has been installed with a timed watering system for easy maintenance. 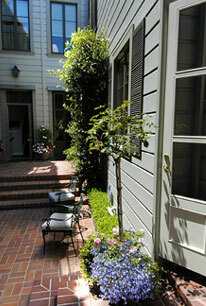 Enter through the decorative front wrought-iron gate and brick sidewalk. Front door with art glass transom and sidelights. The handsome FOYER and gracious staircase welcome the visitor. POWDER ROOM. 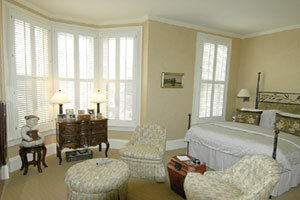 Front PARLOR with marble fireplace, bay windows with plantation shutters look out to greenery. 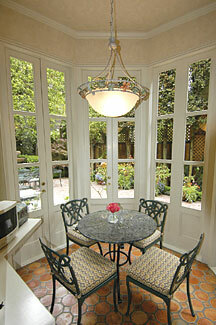 Second PARLOR with French doors to the terrace. FORMAL DINING ROOM with large mirrored wall and built-in side table for display and silver storage. GOURMET KITCHEN features granite counter tops, custom cabinets with glass fronts and top of the line appliances. 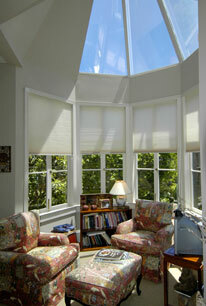 Sunny, delightful six-sided BREAKFAST ROOM with ceramic tiled floor & large bay windows with TERRACE outlook. Adjoining wet bar, laundry closet and back staircase. Luxurious MASTER BEDROOM with verdant outlook, plantation shutters, mirrored fireplace with stone mantle. Spacious MASTER BATH with classic white tile surround, marble vanity with double sinks & large mirror, spa tub and separate shower, ample cedar-lined his and her wardrobe closets and large skylight. Second BEDROOM and BATH with shower, tile surround, marble vanity, custom fittings & art glass transom. MEDIA ROOM with built-in cabinets to house the entertainment system, in-wall surround sound. The charming OFFICE with tower skylight completes this floor. 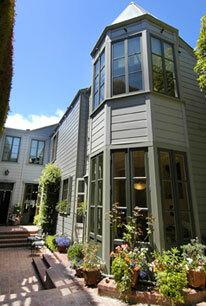 Off the terrace and above the one car GARAGE is an addition of a cozy designer BEDROOM and BATH with shower, designer pedestal sink. 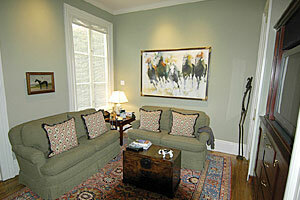 Perfect for house guests, adult family member or au pair. (This space cannot be rented.) The driveway is convenient for additional parking. Exclusions from the sale of the real property: chandeliers in the living & dining rooms and removable mirrors.